What are you willing to do to see others know Jesus? Living on mission always involves some degree of sacrifice. 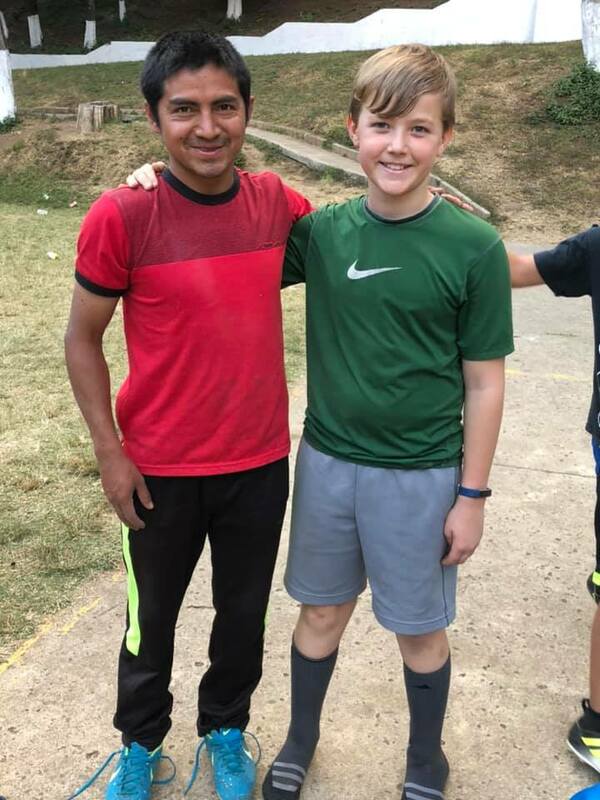 Here is a picture of my 11 year old son, Ben, and a guy from Casa Bernabe. This gentleman was the last person to look for cleats when we were giving away the donated cleats we took to Guatemala. Unfortunately, we didn’t have any that fit him. However, I knew I had heard from God that each one person would get a pair. But where would the last pair come from? I looked around and saw Ben wearing his cleats he had brought from home. I asked Ben if he would be willing to give them away. Ben immediately took them off and handed them over. They were a perfect fit! (Guatemalans have small feet and Armstrong’s tend to have large feet). Ben then put on a two sizes too small extra pair to hop on the field, without a beat, without a complaint. Yes, I cried. I knew this would be a moment that we would remember forever as a family on mission. And I knew this would be a moment that could touch other people’s lives when they heard the story, not just the man receiving the cleats.